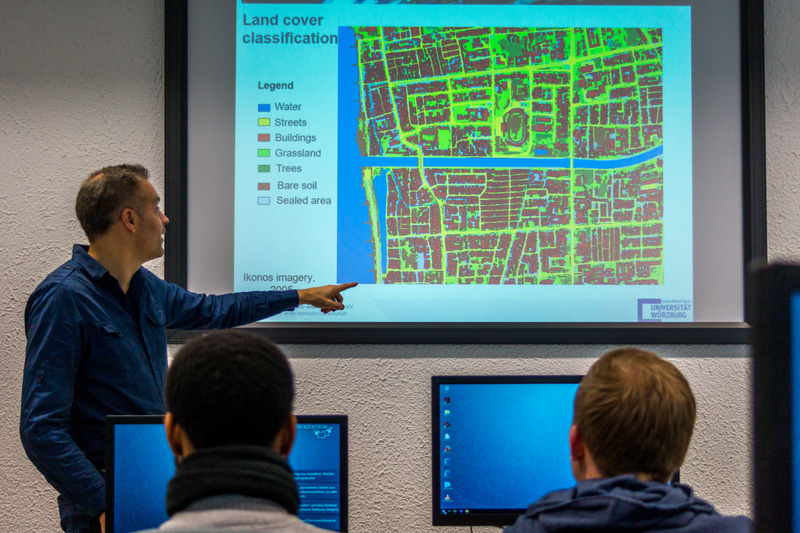 This week Hannes Taubenböck from DLR discussed with our EAGLE students the application of remote sensing applications within urban research. The advantages and challenges of different sensors, data sets and methods were critically discussed with the students. Hannes very much appreciated the critical and controversial discussion with the EAGLE students which are the foundation for sound scientific exchange and progress. Beside the very informative lecture and presentations by the students also the practical application of remote sensing data for mapping urban areas and extracting a variety of relevant parameters was covered. 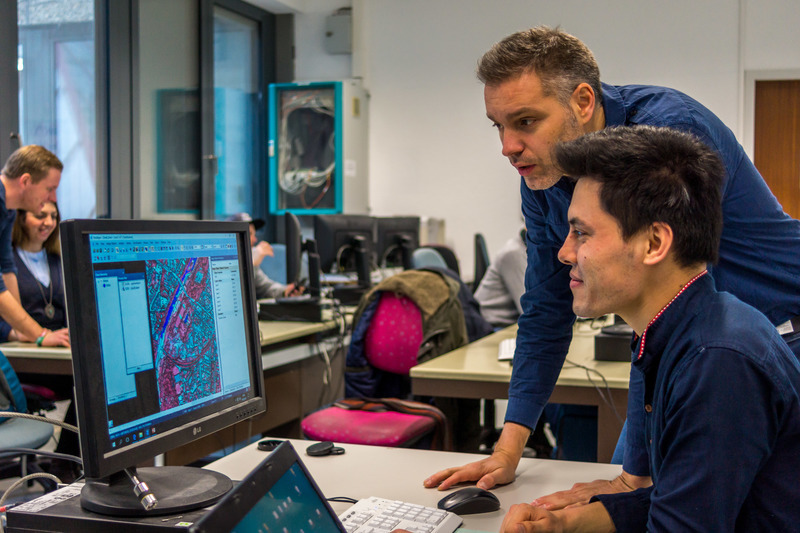 Hannes started with object oriented classifications methods within urban geography and further details of OBIA approaches will be provided by next courses by Christian Geiss (DLR) and Michael Thiel in the summer term.